The Chicago City Council is calling for public hearings after tests found 19 Chicago public schools with high lead levels, including a water fountain with 23 times more lead than the federal limit allows at a school that serves children with disabilities. Chicago’s aldermen called for public hearings in a resolution submitted to City Hall on Monday. Alderman Christopher Taliaferro, the main sponsor of the resolution, said he wants answers as to how this happened, what Chicago Public Schools is doing to correct it and how the district intends to keep it from happening again. 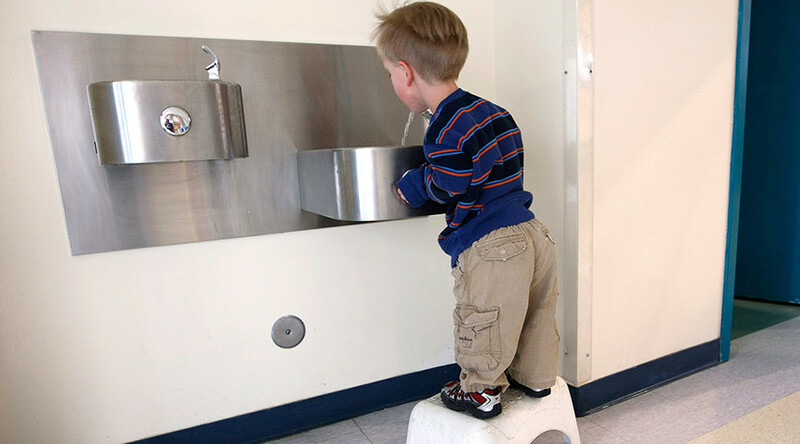 Testing results show that a classroom sink at the Blair Early Childhood Center, which serves children ages 3 to 6 years old, had lead levels of 357 parts per billion in one class room sink, soaring past the federal standard of 15 ppb. Water tested at Blaine Public School had some level of lead in it, but only two sources were dispensing water that exceeded the federal standards. A sink at Beasley contained 965 ppb of lead, and a water fountain had 65 ppb. Chicago Public Schools began testing the water for lead in April and began releasing test results on Friday. They’ve tested 156 of 324 buildings with pre-kindergarten programs and that were constructed prior to 1986 so far. Nineteen out of 65 schools tested positive for lead. "Given heightened awareness nationally about lead exposure for children and to provide parents with timely information, Chicago Public Schools is taking proactive steps to ensure that our children's drinking water is safe across all schools by testing every school in the district," district spokesman Michael Passman said in a statement. Chicago Public Schools said the water supply of the school “might have been off in the days before the initial samples were taken, which could have a significant impact on results,” but testing the water after pre-flushing, in which lead is cleared from plumbing beforehand to show lower readings, was a method highlighted by The Guardian when it found that water departments in at least 33 cities across 17 states were found to have “cheated” for over a decade to conceal dangerous levels of lead. It was Edwards’ analysis that revealed the crisis of lead contamination in Flint, Michigan’s water. He said that, for the last 10 years, people were taking samplings from water that made the lead levels look low when reporting to the federal Environmental Protection Agency, even though they were high when children were drinking it. “Lead affects every system in the human body. There is no safe level of lead exposure,” he stressed. “We have to do everything in our power to prevent these lead exposures. You cannot undo the harm that is caused by this neurotoxin."